Have you ever stopped to ask yourself why you celebrate a new year in the dead of winter? When you find out where the January 1st holiday comes from, you might be shocked. Before we reveal the truth to you, take a second to educate yourself of what our calendar means in the first place. There are facts in this article that will blow your mind and help you make sense of cultural practices you find yourself playing out without a knowledge of their origins. Translated literally, equinox means “equal night.” Because the sun is positioned above the equator, day and night are about equal in length all over the world during the equinoxes. In many cultures this is a time for rituals of balance and new beginnings, and even marks the beginning of the year itself. The Vernal or Spring Equinox — This day marks the beginning of Spring and happens around March 21st. The word ‘vernal’ (from the Latin word vernare which means to bloom) is sometimes used to describe the Spring Equinox. The Autumnal or Fall Equinox — This day marks the beginning of Fall and happens around September 23rd. The Summer Solstice — This day marks the beginning of Summer and happens when the sun is directly over the Tropic of Cancer, which is located at 23.5° latitude North around June 21st. For every place north of the Tropic of Cancer, the sun is at its highest point in the sky and this is the longest day of the year. The Winter Solstice — This day marks the beginning of Winter and happens when the sun is directly over the Tropic of Capricorn, which is located at 23.5° south of the equator around December 21st. For every place north of the Tropic of Capricorn, the sun is at its lowest point in the sky and this is the shortest day of the year. 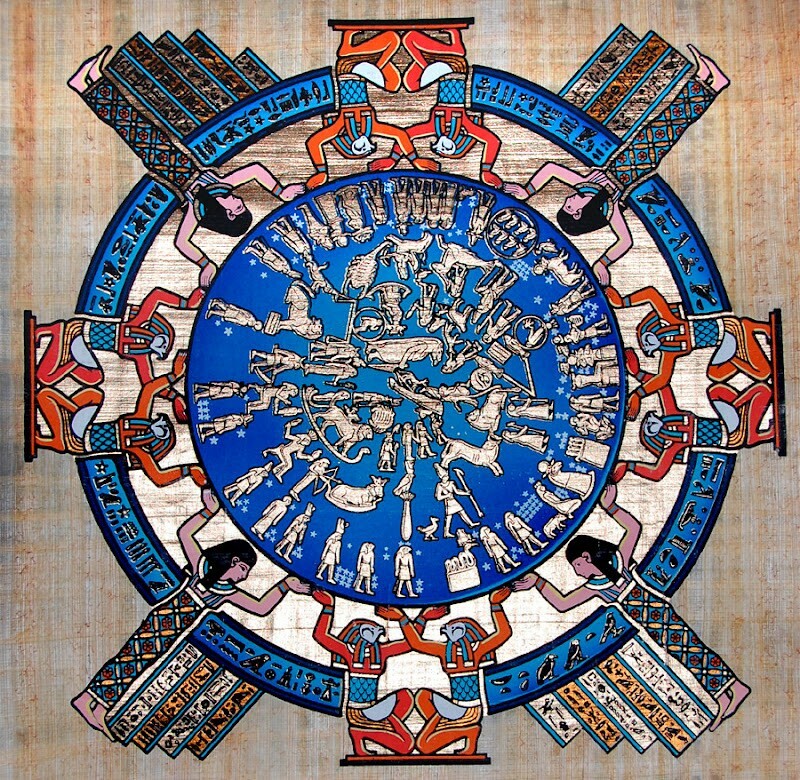 The Kemetic Calendar was based on the Universal movement of heavenly bodies. What this means to you is that nature and the universe has given us an accurate measure of the seasons and a scientific measurement of the procession of our year. So Why Do We Celebrate a New Year on January 1st? The short answer is Julius Caesar and the Romans. During the seventh century, the arrogant Romans decided that nature-based calendars used by melanated humans since the dawn of time were not good enough for them. Instead, they copied some parts of the Kemetic (Egyptian) calendar and stuck their names into some of the months (Julius Caesar named July after himself and August after Augustus Caesar) to round their system out. The year was calculated to be 365 and 1/4 days, and Caesar added 67 days to 45 B.C., making 46 B.C. begin on January 1, rather than in March. Caesar named this calendar after himself, and thus the Julian Calendar was born. Its important to point out that Caesar randomly added 67 days to the calendar. This was nothing new. Roman politicians would add whole days and months to the calendar just to interfere with elections or to extend political terms. Imagine this: In America, Election Day happens on the first Tuesday in November. What if a politician came along and said ‘I am adding a month right before Novemeber’. Thats what was happening in Rome. Caesar also decreed that every four years a day be added to February, thus theoretically keeping his calendar from falling out of step with the seasons, but the Romans miscalculated the length of the solar year by 11 minutes. That meant that by the year 1000AD, seven days had been added to the year and 10 days by the mid-15th century. The West has been trying to fix it ever since — attempting to reinvent the wheel given to us by nature. So When Is the Right And Exact New Year? As beings of light and life, melanated people across the planet observe the beginning of new life as the beginning of a new year. Historically, the beginning of the year happened on the Vernal Equinox and was observed in Kemet withthe Feast of Shamo (Shamo meaning ‘renewal of life’). This feast was first celebrated in 2700 BC, towards the end of the 3rd Dynasty. High Priests and Priestesses would announce the beginning of the year at the foot of the Great Pyramid at Giza kicking off a feast of traditional foods and periods of time spend in fresh open air. Scenes from a Kemetic Feast. 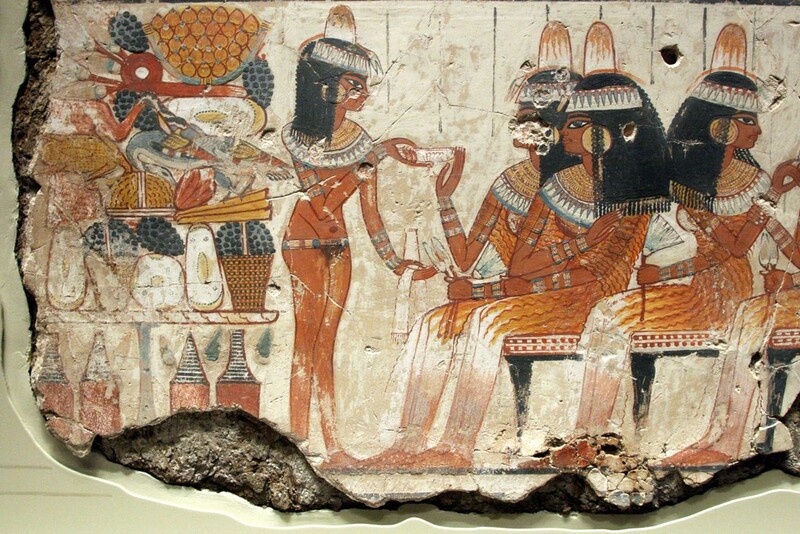 Circa 6th Dynasty. Salted mackerel (fiseekh) were eaten and symbolized fertility and welfare. Fish were abundant when the waters receded from the Nile flood, leaving them trapped in natural pools, and easily caught.The fiseekh is prepared in a traditional process that is considered almost an art form thats still passed down to this day. Boiled eggs were painted and hung in temples as a symbol of new life. They not only symbolized new life, but they served as small art works to be enjoyed by the Suten (Kings or Queens) and priests. This practice is where easter eggs of today came from. The real New Year is when the cycle of life begins again with NEW GROWTH. That is the beginning of Spring, called the Vernal Equinox. It happens on March 20th and its the point in time when the length of both day and night are equal. You cant begin something anew in the dead of winter. So now you know the origins of ‘April Fools’, the Easter egg, and the real reason the new year begins with the Vernal Equinox. This was a very good article. I really enjoyed the information, I’ve been doing a lot of reading on the since I ran across mr. Anthony T Browder videos on YouTube. It is amazing how so much of our history is right in our face and the powers-that-be have manipulated our ancestral history to the point we can’t even see it. Or maybe I should say we can’t see it we just don’t know it. Thank you for the information.